…it is now! The Labour party may have been expecting a poor result in historically Tory Henley-Upon-Thames, but to come fifth with barely over 3% of the vote, behind both the Greens and the BNP, is a humiliation of historic proportions. This is the case not least because the story is breaking on the first anniversary of Gordon Brown’s first anniversary in power. Hot on the heels of the 42-day vote which was passed only on the back of grubby negotiations with the ultra-reactionary Democratic Unionists, not to mention the crushing defeat in “Labour safe” Crewe and Nantwich as well as the kicking received in this year’s Council elections, left-of-centre Labour MPs must be wondering whether even the supple-spined Jon Cruddas would be able to launch a leadership challenge to the floundering bozo who currently heads the government. Not that they’d actually do anything about it, you understand, but they’ll be wondering. Either way, it would all seem to point to the fact that the public is way ahead of the left on one key point: this Labour Party is not worthy of ordinary people’s votes. And from the left’s perspective, the scales should now be falling from more people’s eyes – the Labour Party is no longer a viable vehicle for progressive politics in this country. The sooner we realise it, the sooner we can get on with the long, arduous and complex task of building something better. The explanation of Labour’s humbling is fourfold. Firstly, Brown made a great deal of his non-partisan integrity, his spinlessness, before maladroitly revealing in the election-that-never-was that this was a pose. Secondly, Brown is suffering from the resentment of a commentariat forced to spend a lot of its time with its eyes focused on a deeply uncharismatic, boring man. 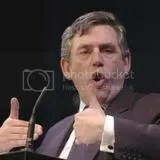 Thirdly, Brown spent so long crafting his political identity in opposition to Tony Blair that when it became necessary to define himself against the Tories, he was seen to cynically reverse his previous positions. Fourthly, the economy has gone to the devil. The answer to the question “Where did it all go wrong?” is that Brown adopted the wrong tactics in 2007, had the wrong character for a shallow entertainment-hungry commentariat, was hampered by his previous political positioning and suffered the ill-luck of the turn in the global economy. Your first three points are bang on. On the fourth, the economy is fine, but politicians and media-ites who’re bored of Brown are lying that it isn’t…. Is it the growing debt crisis, falling house prices or rising food prices which give you that idea, John? Amazingly, Lenny Seymour has written a post on the Labour Party’s prospects (and the reason for their decline), which more or less gets it right. Dunno if he’s been pondering long and hard or whether it’s one of those stick-a-monkey-in-front-of-a-piano-for-a-billion-years-and-it’ll-eventually-play-Beethoven things, but either way his post is really rather good. Have a look.